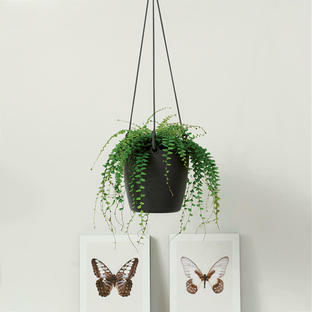 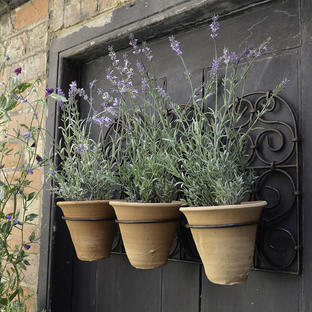 A lovely way to display your succulents or houseplants. 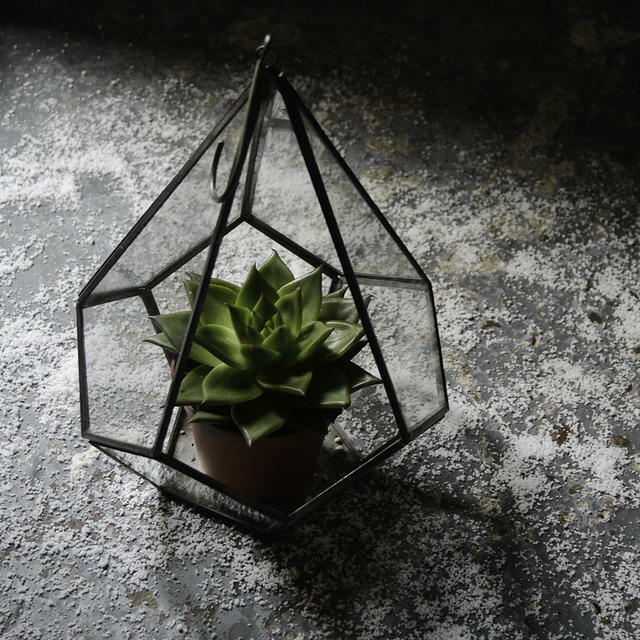 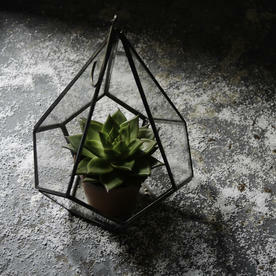 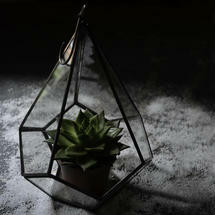 Attractive glass terrarium which can either hang, or stand on a surface. 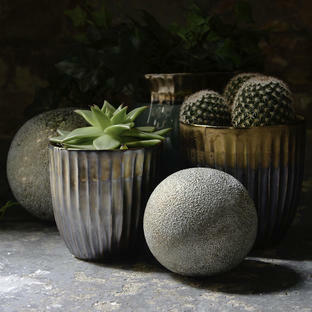 Pop a small succulent or cactus inside, and use some reindeer moss or pebbles round the base of the plant pot.